“Logically, the Look East Policy must begin with NER’, says North Eastern Region Vision 2020. It goes on to endorse the statement that ‘South East Asia begins where North East India ends’ and recommends that NE region should play the ‘arrow-head’ role in the country’s LEP. 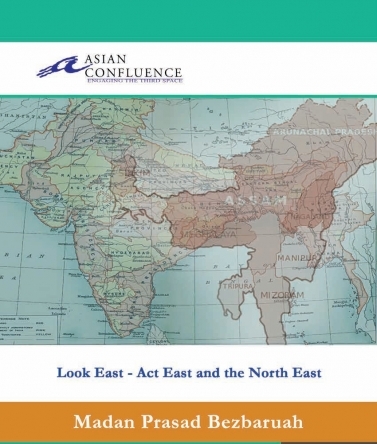 In fact most references to the role of the Northeast (hereinafter NE) in India’s Look East Policy (LEP) and subsequent Act East Policy (AEP referred to here only as AEP) are couched in fine hyperboles that enrich the realm of economic rhetoric. For instance, the former Prime Minister Vajpayee hoped that the NE states can become the country’s ‘economic bridgehead to Southeast Asia.’ Former Prime Minister Manmohan Singh raised the expectations of the people of the NE further when he said in 2004 that the region should be at the forefront of the country’s links to the Asian Century.